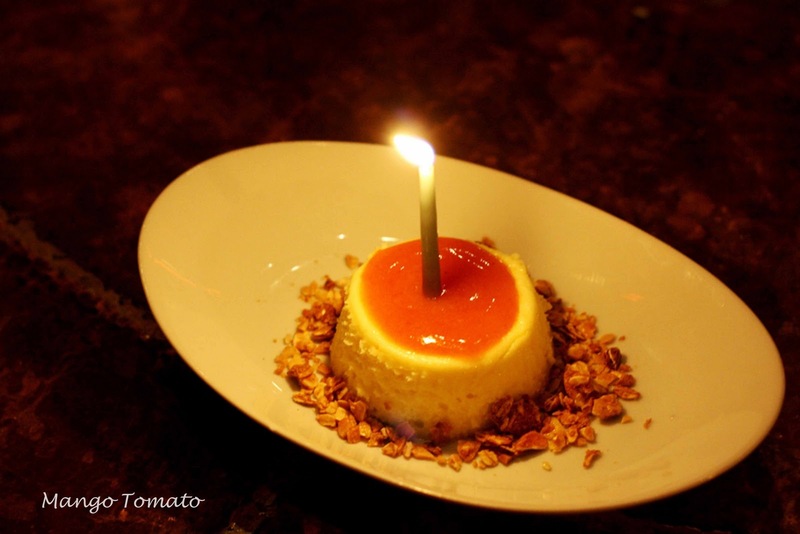 Mango & Tomato: Where to go for a birthday dinner in DC? Estadio! 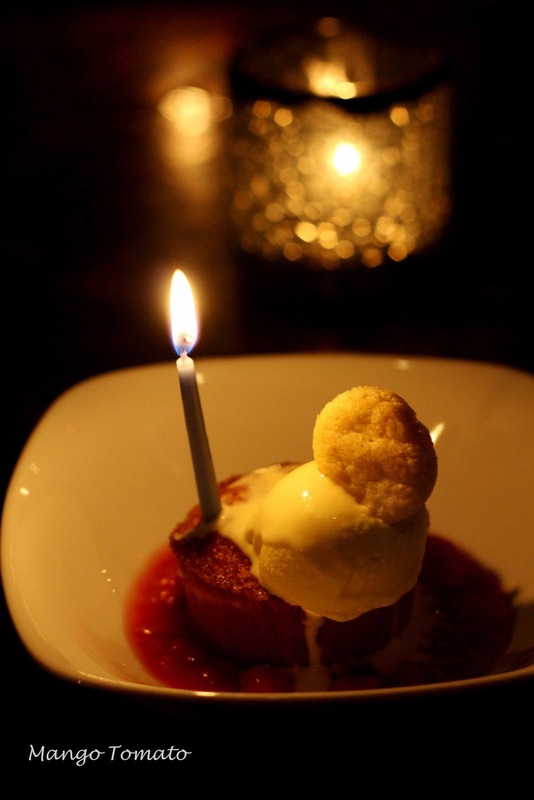 Where to go for a birthday dinner in DC? Estadio! I love food. Luckily, my friends love food too. 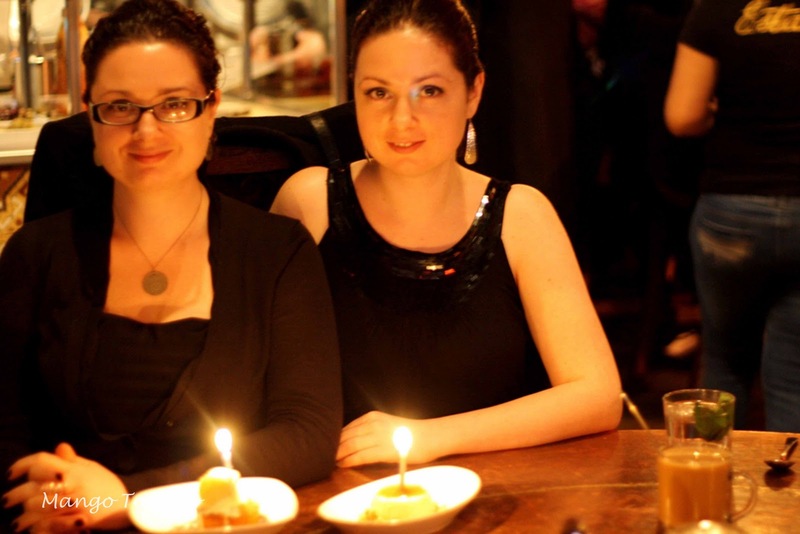 So when it came time to choose a place for a birthday dinner (and a twin birthday dinner to boot! 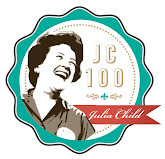 ), I wanted something fun, delicious, and where everyone could find something they liked despite their food preferences. 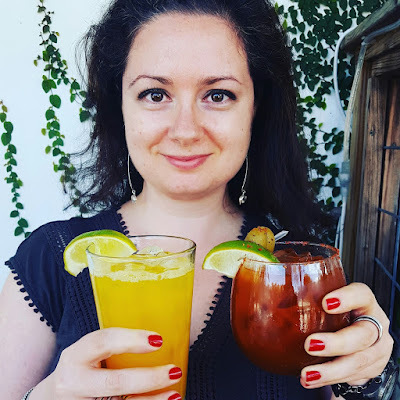 Since last year I spent my birthday celebration in Madrid with Anna and Radha, I thought it'd be fun to check out Estadio: a Spanish tapas restaurant in DC. I've been to Estadio once with my friend Wendy and thought every single dish was absolutely delicious, authentic, masterfully presented and reminded me of my time in Spain. And so last Tuesday a group of 6 girls met at Estadio for a birthday celebration, good food, catching up and of course sangria! Before we had a chance to look over the menu, Sylvie decided to order grilled bread with tomatoes (sorry, I can't find the exact description on the menu). Although some thought the dish needed a bit extra salt, I was happy as a clam. 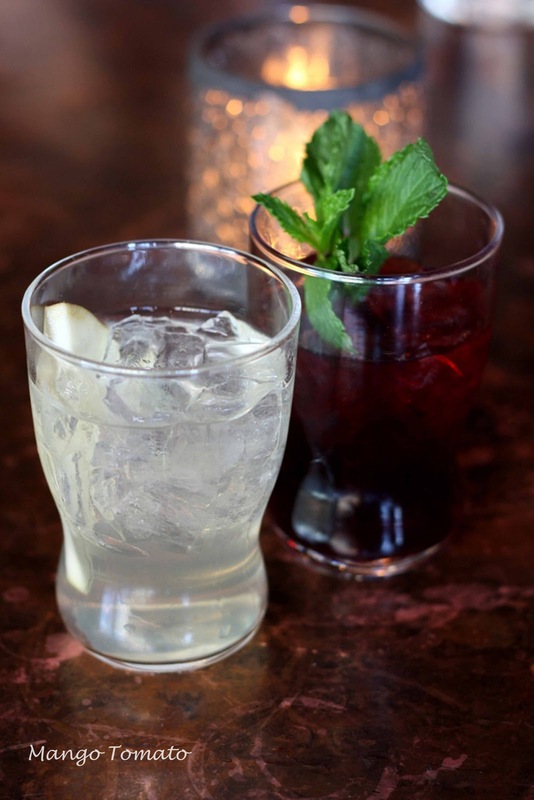 When it came to drinks, we split pretty evenly between white and red sangria. I was surprised we could not order sangria by a pitcher though...something I think the restaurant should rethink for sure! My white sangria was sweet and light, while the red one had a bit more depth and flavor. I'm not going to mention every single dish we ordered because there were quite a few of them (which we all shared), and plus the light began to worsen as we enjoyed our dinner. But I'll highlight a few dishes that we chose. 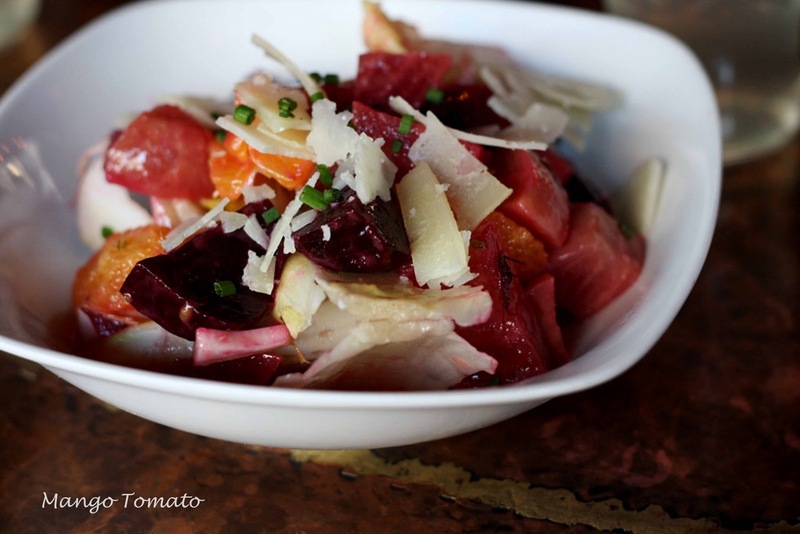 Roasted beet salad with endive, orange and sheep's milk cheese. If you've been reading my blog for a while, you know I'm a huge fan of beets. This salad did not disappoint. In fact, I've made a similar salad with endives, beets, grapefruit and blue cheese in the past. One of the biggest hits at the table (and I'm proud to say I ordered them) was a plate of blistered shishitou peppers. 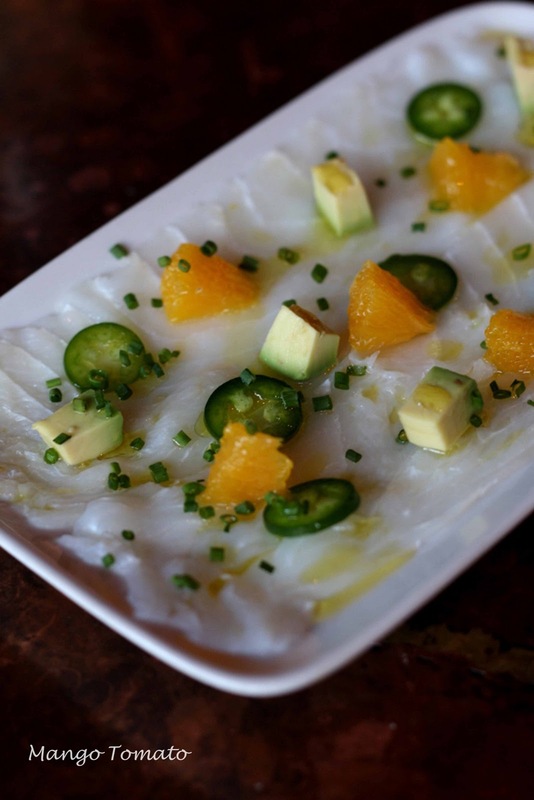 What a perfect little snack full of salty, hot and smoky flavors! It reminded me of a bowl of edamame you'd get in a Japanese restaurant. 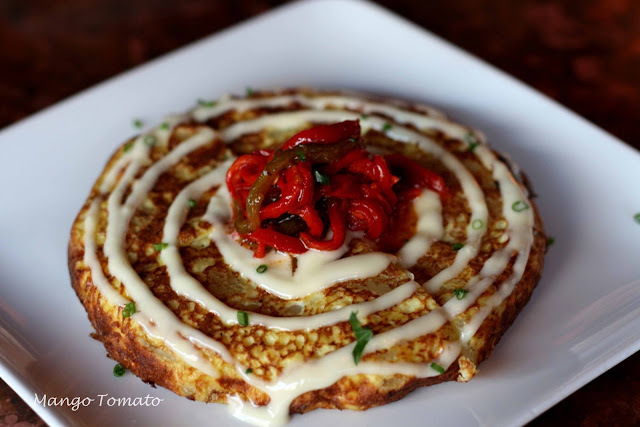 No Spanish meal should be without a tortilla Espanola with alioli and sweet hot peppers. The potatoes were completely cooked through and the dish was served at room temperature. How pretty is it!? We ordered two of these for the table, and there were no leftovers! We also ordered another staple of Spanish cuisine: patatas bravas (on the left) and I decided to try something new: bacalao crudo with jalapeno, avocado and oranges (on the right). The potato dish was absolutely a hit, but the seafood dish although pretty, was disappointing. Other dishes that we loved were mussels, slow roasted pig belly, foie gras mousse with smoked duck breast and caramelized onions, roasted baby chorizos and potato crisps, and sauteed pea shoots. 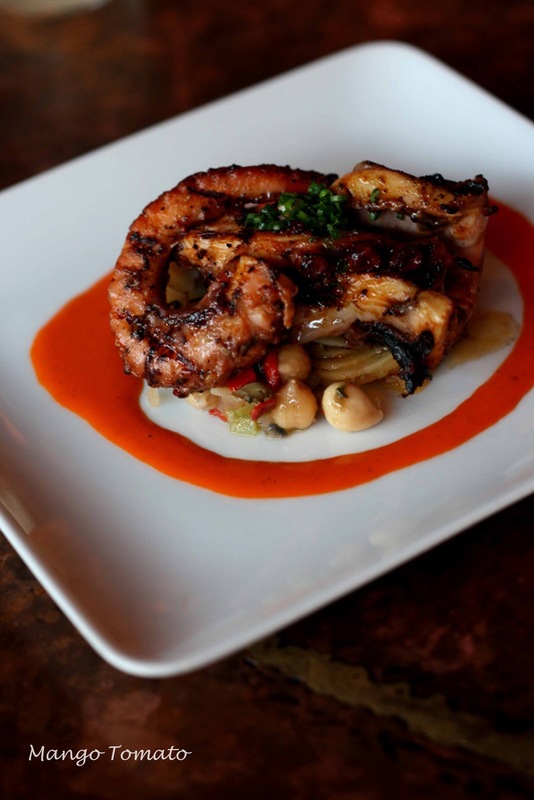 One of the most beautifully plated dishes was grilled octopus with potato-caper salad and pimenton. Luckily, the flavors matched the looks. And although we were pretty full by the time we were done with our dinner, a birthday celebration can't end without a dessert. The girls let Anna and I choose two desserts: I chose almond cake with rhubarb compote. The cake was dense, slightly sweet and warm. I loved it. Anna chose Manchego cheesecake with quince and almond granola. And we got candles! Of course both desserts were passed around and shared with our friends. everything looks delicious! 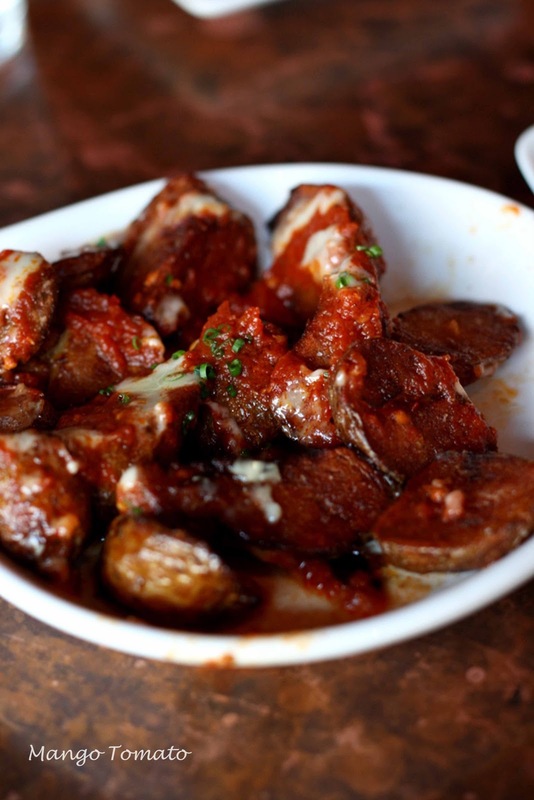 i liked the patas bravas as well, but was "meh" about the baby chorizos. The food sounds great - I've never been there! 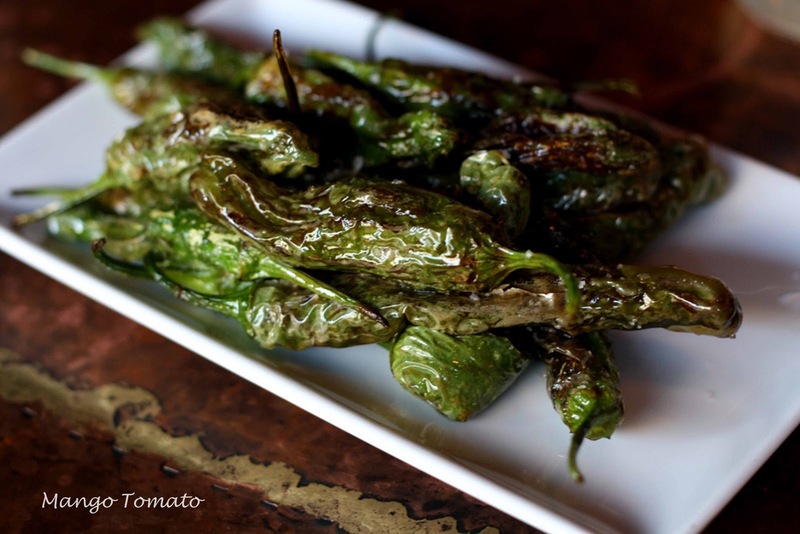 Blistered peppers .... I'm intrigued! Looks like you picked the right place. What gorgeous photos! Aw this looks like the perfect birthday dinner! 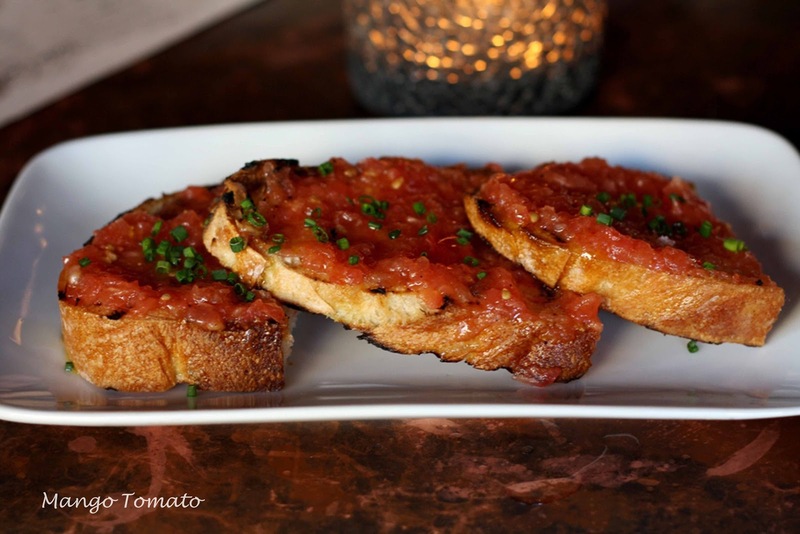 I love tapas -- but you know that. :) Happy Birthday again!